Forget Unicorns. Mermaids are the latest blended beast. 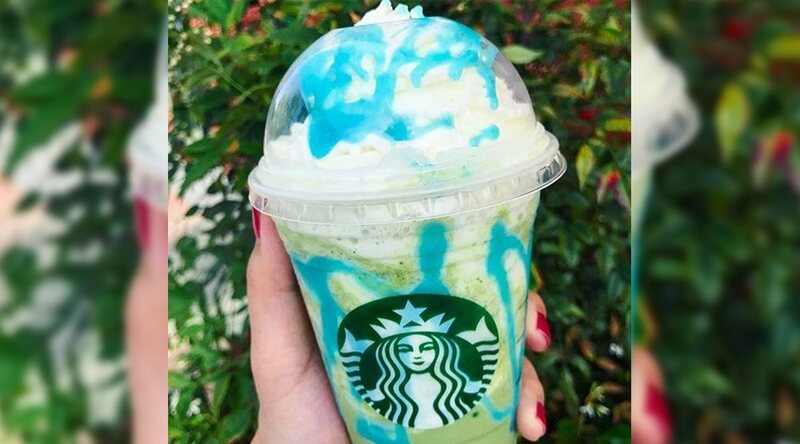 Per numerous sightings on Instagram, the Starbucks Mermaid Frappucino is a runoff byproduct made from leftover Unicorn guts ingredients. Created on the fly from whatever pastel powders and syrups remain after the Unicorn Frappucino’s limited run, the Mermaid Frappucino can vary widely from Starbucks to Starbucks. Not even the sea monster centre on the company logo is sacred. The trend seems to be taking off with willing baristas trying to one-up each other and/or customers unwilling to let unicorns just die already and taking custom orders to the absolute extreme. Results vary from scrumptious to sludge. Fantastical to fail. See below. If there’s one thing these drinks have in common it’s that the barista making it probably secretly hates you.